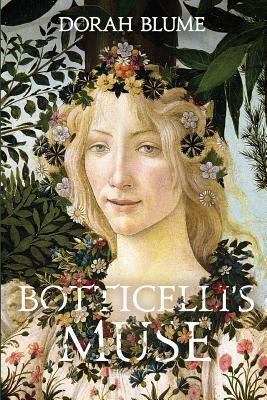 Sandro Botticelli is an artist with Medici patrons in 1477 Florence. He is concerned with Beauty more than the Soul, even though his sister is a nun. This changes when he sees Floriana, the Jewish weaver imprisoned in the nunnery due to circumstances out of her control. She becomes the muse for his painting La Primavera, and the relationship between the two develops even as the political climate in Florence takes on a dangerous note. Ms. Blume didn't just write an engaging historical novel, she illustrated it. There are miniature drawings at the beginnings of chapters and in between scene breaks. The pictures flesh out the visuals for the time period and give us a glimpse at the physical appearances of the characters. All of them are painfully human here, and the day to day life within Florence is described in such detail it's almost like Botticelli's paintings are being recreated in words. The pace is steady, and we gradually get to know all of the people and the relationships they have with each other. While the novel takes place over the year, split into the seasons, it doesn't feel as though it drags at all. Every time I put down the book to do something else I had to do, I wanted to go back and see what else happened. It could be because the chapters are relatively short but full of description and emotional energy. Thanks, Mylan for such a positive review for Dorah and Botticelli's Muse!